Contents: The house next door / James Patterson with Susan DiLallo -- The killer's wife / James Patterson with Max DiLallo -- The witness / James Patterson with Brendan DuBois. 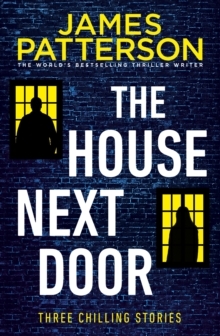 From the world's bestselling thriller writer - three chilling stories in print for the first time!The House Next Door (with Susan DiLallo): Married mother of four Laura Sherman was thrilled when her new neighbour invited her on some errands. But a few quick tasks became a long lunch - and now things could go too far with a man who isn't what he seems... The Killer's Wife (with Max DiLallo): Six girls have gone missing.